Nelson Mandela’s personal chef presents some of the statesman’s favorite meals in a cookbook she has launched in South Africa. Xoliswa Ndoyiya’s book includes more than 62 recipes for the simple traditional dishes that Nelson Mandela most enjoys. Xoliswa Ndoyiya has cooked for the Mandela family for more than 20 years. Her book is one of the few South African cookbooks to include traditional African recipes. Speaking at the launch, Nelson Mandela’s great-grandson Luvuyo Mandela described Xoliswa Ndoyiya, known as “Xoli”, as the family’s best kept secret. “UMam’Xoli was more than someone who prepared meals… she was a parent,” he said. 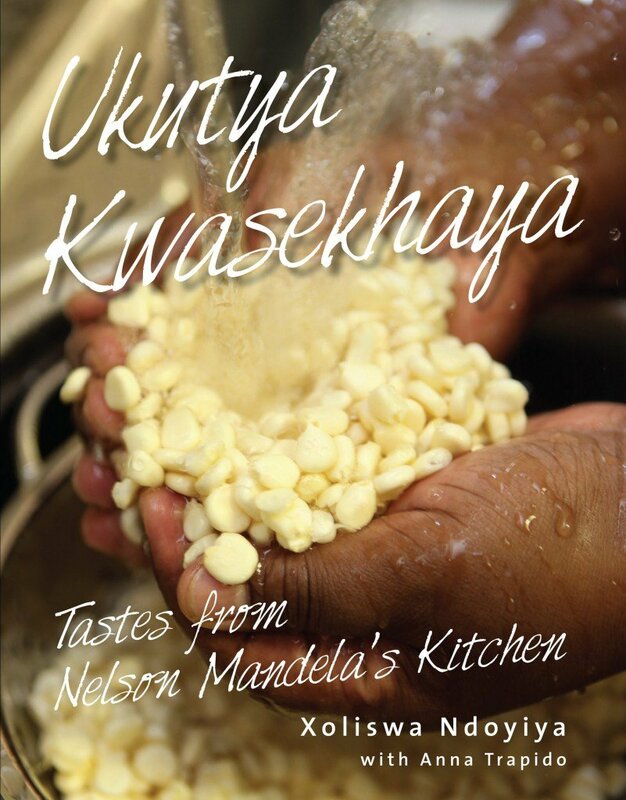 “Ukutya Kwasekhaya [home cooking] – Tastes from Nelson Mandela’s Kitchen”, includes recipes for chicken soup, umqusho (maize and beans) and umsila wenkomo (oxtail stew). Xoliswa Ndoyiya, 49, sees food as a way of strengthening bonds between families and also preserving special memories. “Tata [Nelson] Mandela has told me that every time I make umphokoqo [sour milk] for him, he remembers his mother cooking this dish for him with love,” she writes in her book. Her husband was killed in the clashes between Nelson Mandela’s African National Congress (ANC) and the Inkatha Freedom Party (IFP) in the early 1990s. Shortly after that, Xoliswa Ndoyiya was introduced to Nelson Mandela who was looking for a chef at the time. She began working for him in 1992, two years before Nelson Mandela became South Africa’s first democratically elected president. Nelson Mandela, 93, retired from public life in 2004. Today, Nelson Mandela spends most of his time with his family in his home village of Qunu, in the Eastern Cape and Johannesburg.